Sometimes three's a charm, but in the case of Hotel Transylvania, two's enough when it comes to director Genndy Tartakovsky. Hotel Transylvania 2 pulled in September's biggest opening when it arrived last week to the tune of $50.8 million and counting. And thus far, it has racked up a total of $80 million at the global box office. So of course Sony is planning a third movie. Only next time, there will be a major changing of the guard. Genndy Tartakovsky, who directed both 1 and 2, will not be back for Hotel Transylvania 3! Speaking with The Wrap, the animator, who made himself famous with his work on the ground breaking Cartoon Network series Samurai Jack, confirms that Sony is planning a third chapter in the tale of a hotel that caters to the world's most infamous monsters. Genndy Tartakovsky simply believes his time in this horror fantasy universe is up. He explains the future of the franchise as such. "Hotel Transylvania 3 is going to happen without me. Two is enough. I have a lot of other ideas, and I kind of have to express them and have them come out." It may be surprising that he would turn down such a lucrative proposition. Especially since the animator seems to have enjoyed his time with the franchise. And the second movie was an instant hit. A third film could be potentially bigger, elevating his status as a director in animation. But his decision to leave the franchise may be directly tied into the fact that he bailed on the animated movie Popeye, which was also at Sony Pictures Animation. Genndy Tartakovsky dropped out of that project, citing creative differences. Now that Hotel Transylvania 2 is in theaters and doing well, the animator may simple want to distance himself from the studio. Asked what happened behind the scenes on Popeye, the director had this to say about his failed vision for the big screen resurrection of the iconic comic strip character. "We made a version that we were happy with, and the studio didn't like that version. It's still a mystery for me that they didn't like that version. They wanted to do Popeye for the brand recognition and I loved the character and grew up with it, so there was a tug of war. They wanted it really updated, and I can only update it a little before it isn't Popeye anymore. To be truthful, it was in the middle of the Sony hack and the studio was really struggling. It was just really bad timing." With Hotel Transylvania 3 on the move forward, it's likely the main cast will return. Adam Sandler, Andy Samberg, Selena Gomez, Kevin James, Steve Buscemi and David Spade are all expected to be back. And that may also be part of the problem, too. It sounds like there were some creative differences behind the scenes. Especially between Genndy Tartakovsky and co-writers Adam Sandler and Rob Smigel. About trying to find and collaborate on the story for Hotel Transylvania 2, Genndy Tartakovsky reveals the following. "Making a sequel is always difficult. Right away, you have something that was successful and now you have to make sure you aren't going to ruin it. Collaboration is great, but sometimes collaboration is hard. You see it one way, but Adam and Rob see it another way. You have a lot of people with a lot of say and power and sometimes that makes it more difficult. We also re-did the story a bunch of times to get it right. In the first script, we had the main villain as a real estate agent. I'm an animation snob and it was hard to imagine that, in this great world of monsters, our main character was a real estate agent. We went through and put up the whole story with him, and it was obvious it wasn't working." When will we see Hotel Transylvania 3 in theaters? Its likely that it may be as early as 2018. The time between Hotel Transylvania and Hotel Transylvania 2 was shorter than expected for an animated sequel, but the production was able to reuse a lot of the same elements from the original, which sped up the production time. Now, with two movies to pull from, it could be even shorter. But its possible that the tone and feel of the movie will be substantially different. Genndy Tartakovsky has a very distinct voice. And, while some of the same elements will still be in place, a lot of his spirit and soul will be gone. What do you think? Are you sad to see Genndy Tartakovsky leave the franchise? Will The Martian Break Fall Box Office Records? 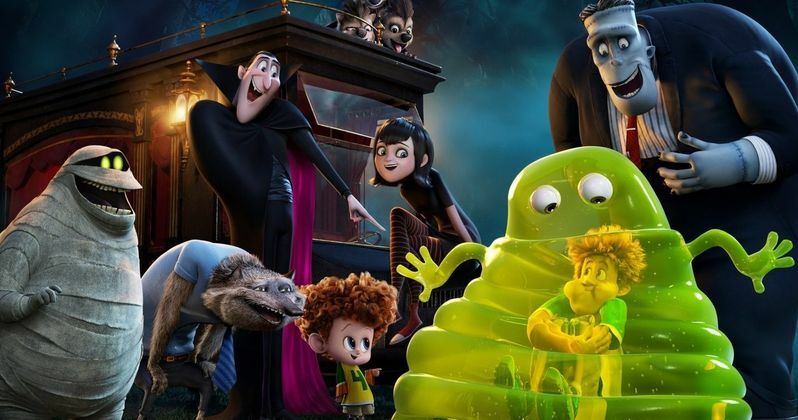 Can Hotel Transylvania 2 Stop Maze Runner 2 at the Box Office?